Have you ever had a meeting without an agenda? In our maximize-every-moment world, it almost seems like such a meeting would be a waste of time. But "no agenda" meetings can be informative, restorative, productive and fun! My colleague Dave Perry, who works at Blue Ridge Land Conservancy, came up with the idea, and Wendy Kendrick of the Central Virginia Land Conservancy volunteered to be our host. 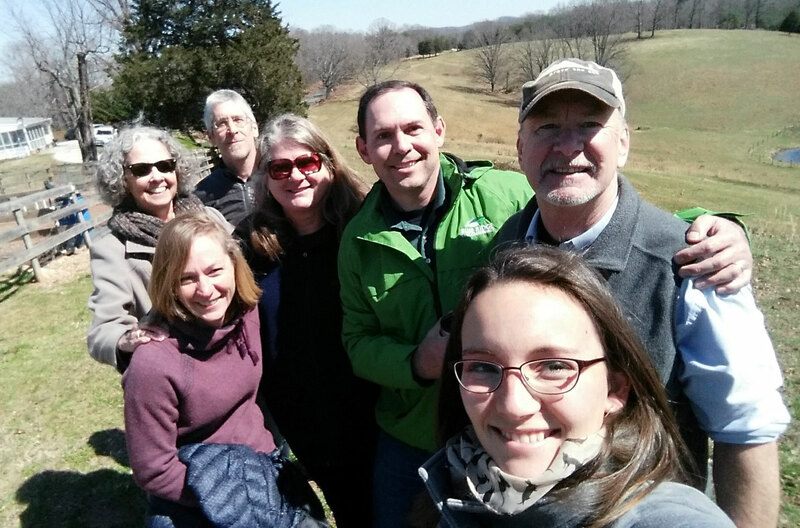 Ellen Shepard of Virginia’s United Land Trusts, Faye Cooper of the Valley Conservation Council, John Eustis of the New River Land Trust, and Meagan Cupka of the Blue Ridge Land Conservancy enthusiastically joined in. None of us really knew what to expect, but stepping backing from the daily avalanche of "to do" items was healthy for us all. We discussed every land conservation topic imaginable across the day. We talked about common challenges and successes. We came up with new ideas. And, perhaps most importantly, we left Wendy's house with a shared sense of purpose and a promise to meet again — soon!